The Viper is Damsport's deadliest assassin, but he also a poet, a writer and an alchemist. However he has a serious flaw, he can't stand the sight or smell of blood, which is why his chosen weapon is poison. Rory is a teenage girl, a street urchin and thief. For two years she has been saving all her money to pay to be Master Xian's pupil. Inspired by the meeting of a scarred female warrior she wants to learn the art of sword-fighting to take her away from life on the streets and enable her to protect herself and in time become, perhaps, a hero. However Rory's training becomes interrupted by a copy cat murderer who is impersonating The Viper. Just how far will someone go to make The Viper take the blame for the murder of a very important dignitary? Can Rory and The Viper get over their differences in time to solve the puzzle? 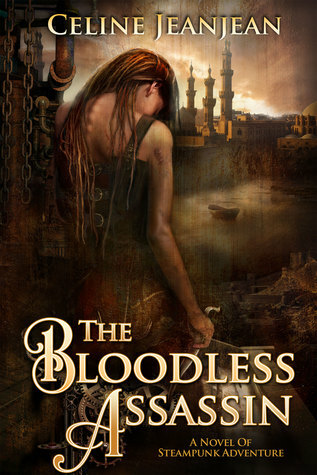 Sign into Goodreads to see if any of your friends have read The Bloodless Assassin.